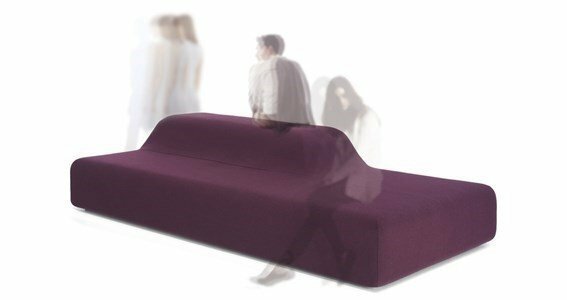 Allows different seat positions, making this sofa a versatile piece of furniture. Ideal for waiting areas, restaurants or at your home. Inner structure in solid wood covered with expanded polyurethane foam. - Revive, 100% recycled polyester.